With less than three weeks until the Olympic Games kick off in London, the 2012 U.S. Olympic Triathlon Team has officially been announced by the U.S. Olympic Committee. While the qualified athletes were known after the World Triathlon San Diego race, the team was officially confirmed by the USOC on Tuesday. Representing the U.S. in the women’s triathlon on August 4 in Hyde Park will be two-time Olympic qualifier Laura Bennett (Boulder, Colo.) and first-timers Sarah Groff (Hanover, N.H.) and Gwen Jorgensen (Milwaukee, Wis.). Four-time Olympian Hunter Kemper (Colorado Springs, Colo.) and Manuel Huerta (Miami, Fla.) will compete in the August 7 men’s triathlon. In all, the USOC announced a 530-member roster for the 2012 Olympic Games. After placing fourth at the Beijing Games, Bennett has been the most consistent U.S. performer on the ITU World Triathlon Series circuit over the past three with nine top-eight finishes from 2010-12. 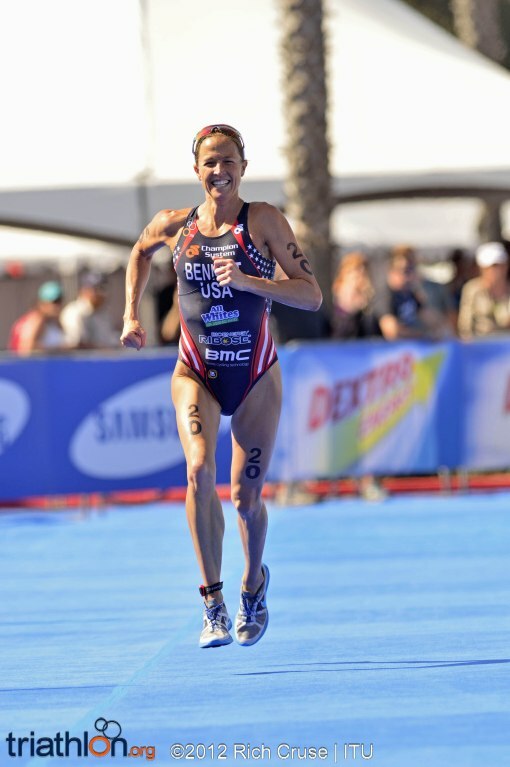 She finished 2011 ranked eighth in the ITU World Triathlon Series rankings and captured her third USA Triathlon Elite National Championship title. Bennett qualified for her second Olympic Team with a third-place finish at the 2012 ITU World Triathlon San Diego on May 11. Groff placed seventh at the 2011 London ITU World Triathlon Series event to clinch a spot on the 2012 U.S. Olympic Triathlon Team. She went on to finish third in the ITU WTS rankings for the first-ever overall series podium finish by an American. Groff led the U.S. with five top-10 finishes on the WTS circuit in 2011 and was seventh last month at the ITU World Triathlon Kitzbühel for her first top-10 showing in 2012. Jorgensen burst onto the triathlon scene in 2011 with a runner-up finish at the London ITU World Triathlon Series event to earn a spot on the 2012 U.S. Olympic Team. Her second-place finish on the Olympic course in London is the best-ever showing for a U.S. woman in a WTS event. Jorgensen finished 2011 ranked 11th in the ITU World Triathlon Series rankings and picked up where she left off in 2012 with a fourth-place finish at the ITU World Triathlon Sydney. Jorgensen owns top-eight finishes in 21 of 26 career ITU events and has finished on the podium on nine occasions. 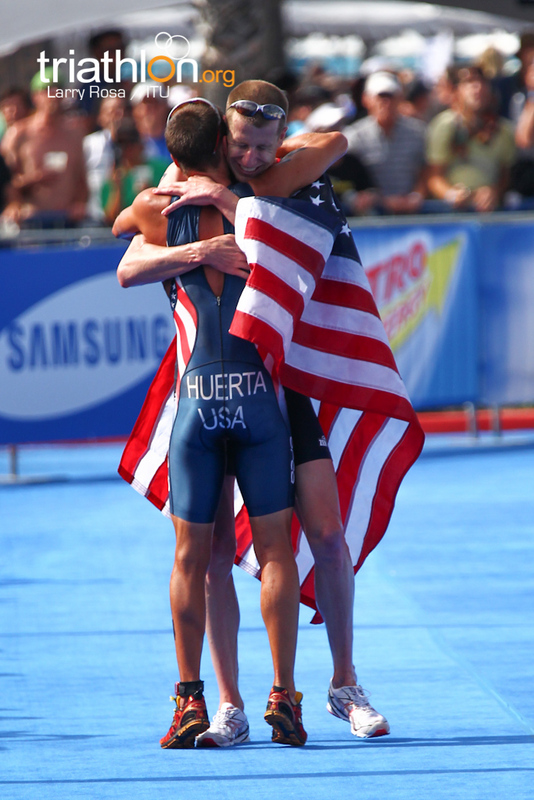 Huerta was named USA Triathlon’s Elite Athlete of the Year for 2011 and capped his season with a silver medal at the Pan American Games. He finished the year as the No. 3 American in the ITU World Triathlon Series rankings and was the top U.S. men’s performer at the London and Kitzbühel WTS stops. The Cuban-born Huerta earned his Olympic berth with an emotional ninth-place finish at the May 12 ITU World Triathlon San Diego. Since qualifying for London, Huerta has recorded top-five ITU finishes in Dallas and Edmonton. One of just three athletes to qualify for all four Olympic triathlons, Kemper is the top U.S. men’s finisher in all three previous Olympic triathlons with a top showing of seventh in Beijing. Hampered by injury for much of the past three seasons and racing for the first time in seven months, Kemper delivered a fifth-place finish at the 2012 ITU World Triathlon San Diego on May 12 to claim his fourth Olympic berth. He owns U.S. men’s records with seven career USA Triathlon Elite National Championship titles and four career ITU World Cup victories. Additionally, USA Triathlon announced its team staff for the 2012 Olympic Games. USA Triathlon High Performance General Manager Andy Schmitz (Philadelphia, Pa.) will serve as the women’s coach and team leader for the 2012 U.S. Olympic Triathlon Team, while USA Triathlon Performance Leader Jonathan Hall (Colorado Springs, Colo.) has been named the men’s coach and team manager for the Games. Rounding out the team staff is chiropractor Dr. Alex Keith (West Palm Beach, Fla.), massage therapist Kim Kirkland (Colorado Springs, Colo.) and bicycle mechanic Joe Santos (Davis, Calif.).